"Ursula my dear...you know having your own jet does have it's perks. I mean these snacks are so much better than peanuts." while meeting us there will be some new recruits and a few old to lend us a hand. 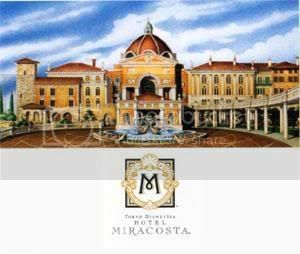 I have arranged for rooms in the wonderful MIRACOSTA hotel. Those not listed on the flight list will meet us there. I am sure we will get thiswhole thing cleared up fairly quickly and you will be free to wellllll....be your evil self once again." OOC* Ok here we go. Check in starts here...if you are on the plane list feel free to board the jet....if you are not the Japanese Concierge is awaiting you at the Miracosta. I will put a Tokyo Disney SEA link up soon to help you keep up with where things are as 99% of you have never been to Japan Disney parks. Diablo flutters up the stairs to the plane and is greeted by the airplane staff. He has no trouble flying inside the enclosed quarters of the plane, having spent plenty of time in the caverns of the Forbidden Mountain, but this is quite a different experience! He chooses a seat and perches, gripping the soft cushion with his talons. At once he can see things are different when run by the lion and the octopus lady, as the flight attendant brings a bowl of one of his favorite snacks: eyeballs and entrails. Diablo hasn't eaten this well since he left the Mountain! King Candy looked back and forth from the hotel brochure to the Miracosta. Well! This definitely was the place; a very nice hotel indeed... though he thought it would look better in salmon. This whole endeavor was something new, but it might be interesting... or at least give him a rest from Sour Bill's droning on and on about... well about whatever he goes on about! The King was currently sitting in his car outside the hotel, he started it up and drove straight through the entrance; causing a few people to jump out of the way in the process. As soon as he was in the lobby the Concierge rushed over to him slightly frazzled. "Excuse me sir, but you can't park this vehicle inside the hotel!" She explained as King Candy removed his helmet, gloves and goggles. "That's KING. Not 'sir'," He muttered whilst jumping out of his car, and giggled slightly. "King Candy actually! Yes. I have a reservation. I will be meeting some others here later. My luggage is in my car," He proceeded to walk toward the front desk in a more reserved manner, straightening his coat. The Concierge quickly ran after him. "Of course, sorry sir--umm... your Majesty. We'll get your luggage sent up to your room and..." She looked over to the car sitting in the middle of the lobby. "...your car will have to go in the parking lot." "Oh very well! But if I find any scratches on it... then, ahaha, you'll go in the fungeon! Hehe." King Candy stated quite happily. The Concierge wasn't sure what to think about that; so just decided to proceed with his check-in. Vanellope heads up the stairs to the plane and decides to pick a seat by the window. She'd never been on a plane before! She noticed that the bird Diablo and the cats Si and Am were already there. She was glad some of the other detectives had decided to come. A few minutes later, the flight attendant brings Vanellope a large bowl of ice cream, with everything on it that she likes. Vanellope begins to eat her snack while waiting for the others, thinking how things were going to be different with Scar and Ursula in charge. Annoyed by Mushu's incessant pride and pestering, Cri-kee decides to go on a little vacation. Hopping about for days, Cri-kee arrives on a dock and gazes at a banner. It reads "Cruise to Tokyo Disney Sea." Cri-kee has seen pictures of Disney Sea from Chien-Po's honeymoon pictures. Cri-kee, with a determined look, decides to go to Tokyo Disney Sea. Cri-kee manages to stow away on the cruise ship and hops onto one of the lounge chairs. Ahhhh... finally, a break from that dragon...Cri-kee thought. The sound of the cruise ship horn blows, and the cruise ship sets sail. Days go by, and finally the ship arrives on the dock. Cri-kee hops off the cruise ship and hops towards signs that say "Tokyo Disney Sea, this way." Cri-kee continues on and finally reaches the gates of Tokyo Disney Sea. Cri-kee's eyes widen. I am finally here. Now what should I do? Cri-kee thought for awhile. I think I need to go rest somewhere. Maybe I should find a tree to sleep on. But since I decided that I am on vacation, I will go to a hotel. Cri-kee hops away and stops in front of a stone building. Wow... Cri-kee thought. This looks like a temple, but a lot bigger! Cri-kee reads the sign. "Hotel Miracosta." Cri-kee hops into the Hotel Miracosta and admires the beauty of the building. Cri-kee sees the front desk and hops onto the concierge bell. A concierge comes out from behind the desk. "Welcome to the fabulous Hotel Miracosta! Uhhhhh..." The concierge looks left and right. "Uhhhhh... is anybody there?" Cri-kee hops to get the concierge's attention. The concierge sees Cri-kee. "Oh hi there! You look so cute! You must be part of that one reservation... the one reserved by that lion." Cri-kee, with a puzzled look, nods slowly. "Great! You are all set! Here is your room key, and everything you need to know. Have a magical day!" Cri-kee balances the key card on the antennas and hops off. Cri-kee analyzes the situation. What is going on here? Well, at least I get a room, right? It must be my good-luck! But I do have this strange feeling... I probably should stay alert. The three boys, Hamish, Hubert, and Harris slipped onto the internationally bound jumbo jet parked at the Aberdeen airport in Scotland. Not through the main passageway as the rest of the passengers did, but from below, sneaky little devils, they were not supposed to be on this plane! One of them carried a travel pack full of fresh muffins for snacks along the way. Once inside, they worked their way up through the ducts and passages to find a cozy warm spot in a compartment near the hostess station. They settled in, and waited. They had overheard mom and dad talking about the investigation and were determined to be part of it. What an adventure!!! HOURS... maybe days, heck, to a young mind it seemed like weeks... Later, the plane landed at Tokyo Narita international airport. The boys wriggled around and got ready... Once disembarking procedures commenced they jumped from the hiding spot and ran down the main isle and out the doors. Followed hotly by several attendants and 1 very overweight security guard. Their red curls bouncing and flying wildly, they ran giggling, pell mell throughout the airport. Occasionally loosing the pursuers, and then gaining new ones. Images of their faces, blurred from them running so fast past the camera's, flashed across screens. And then they were out! Onto the streets of Tokyo, into the bustling traffic... And there before them was a tour bus with images of Disneyland on it! Mischievously grinning, they ran for it and jumped aboard just as the doors were closing, leaving the last of the security guards behind in the exhaust of the bus engine. The bus driver said something to them in Japanese, and waved to them to sit down. Eventually the bus stopped at a hotel, Miracosta. The name sounded familiar so the boys hopped out, waved goodbye to the driver and walked in... They were getting tired, the poor wee darlings. For some reason, the Miracosta employees seemd to be expecting them.. Which the boys found delightful. And they tried not to giggle at the people speaking in such heavy accents. They were used to scottish accent, so this was already a very new and fun experience! Check in went smooth, and a nice young woman took them to a room that seemed designed JUST for them. a TRIPLE bunk bed!!!!!!! and a huge couch and flatscreen TV greeted them as they entered the room. A note, in their fathers writing was laying on a coffee table. It read, "I know you boys were listening, so once you vanished we contacted Scar. The big cat said your unique talents and perspective might be helpful, so I arranged for you to stay. Behave, and listen to what the Big cat and the weird octopus lady say. Or you will be sent home directly. And please... try to stay out of trouble?" With glee, the boys began jumping all over the couch! They got to stay! They get to be part of the investigation!!!!! Marie hopped up the steps to board the private jet. She was glad to see several familiar faces already on board. Trotting a few steps down the aisle, Marie chose to sit toward the front of the jet. Perching on her window, she fluffed her bows just in time for the flight attendant to deliver a delicious saucer of cream. 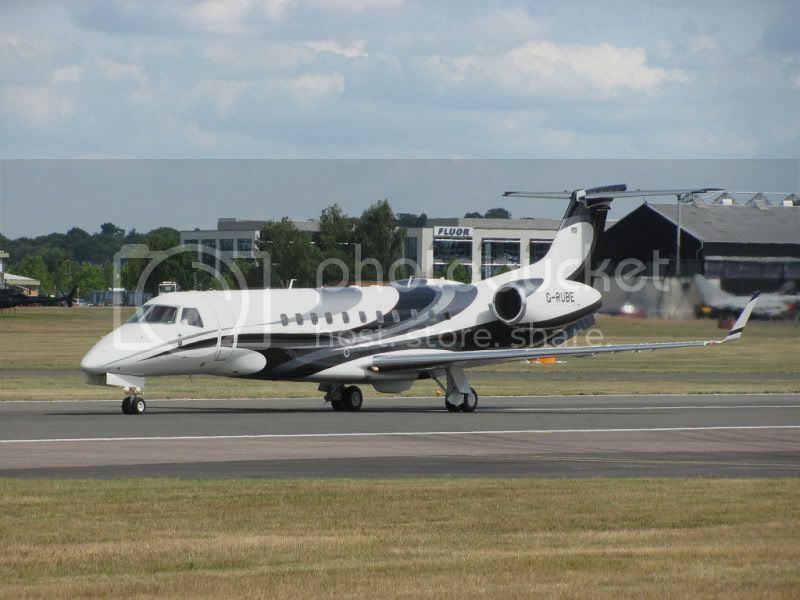 Belle walked onto the private jet and was relieved to see old friends and new already on board. She was hesitant to journey to Tokyo at first with Scar and Ursula - especially after the ordeal they had just been through at Epcot - but she knew that for Scar to ask for all of their assistance that it must be a serious matter, and she couldn't bring herself not to assist if there was any way she could. After exchanging greetings with everyone, Belle took her seat. She thanked the attentive flight attendant, who brought her a croissant and tea. She then opened her book and prepared for the flight. "Yes Richard, I do believe it is time to take off....Yes I know all the detectives have yet to board, but they will just have to fly commercial." "Enjoy your flight and don't hesitate to order anything you like as the bill is being covered by OLC and unlike the Walt Disney Company who pinches pennys, OLC spares no expense." "This my friends is the Ipad Mini X developed especially for DFI Japan division. It is faster, better and has more storage capacity than anything on the open market. It also has 3d display ability. If you open it up you will see I have included a link for you to study Tokyo Disney SEA layout. The flight is about 14 hours so you will have plenty of time." "Konnichiwa Matsumoto san.......Honto ni?......hoteru ni chekkuin shite kudasai....karera ni okurimono o....wareware wa juu shi kara juu go jikan inai ni tochaku shimasu." "It seems some of our fellow detectives have already arrived. I have let the concierge know our approximate arrival time and status. Those detectives will just relax until I get there." After check-in, King Candy was shown his room by the concierge. It was very splendid room; but again he would of preferred the decor in salmon... and made sure to mention this to the concierge, who just seemed more amused at him by now. "Thank you for your assistance; have some candy!" He said, throwing a handful of treats at her; rather than to her. The concierge barely managed to catch them before she was ushered out of his room. King Candy shut the door and made himself comfortable after this. He soon got a call from the front desk informing him of the arrival time of the jet some of the detectives were taking; meaning he had time to spend before all the other detectives arrived at the Miracosta. "Hmmm, yes. I'll just have to inform Sour Bill about this little excursion once I return... I'm sure he'll be just riveted by it!" King Candy did sometimes seem to talk to himself. "Or... ehehe... perhaps not... no," He thought for a moment; wondering exactly who the other detectives were... he knew of that lion fellow, Scar, and Ursula... but was not certain on the others; but surely they couldn't be anyone he found bothersome! Eventually though he decided to have a snooze; and fell asleep for a while. After a few more of the detectives board the plane, Vanellope hears Scar tell the pilot to take off. He then hands out a new Ipad to everyone on board. Vanellope begins to look through hers. When she hears how long it's going to take to get there, she lets out a groan. 14 hours! That was a long time to be on a plane, especially for a kid. At least looking over the Tokyo Disney SEA layout would give her something to do. Vanellope hears Scar mention some other detectives who are already at the hotel. She was excited to meet the new detectives. Maybe someone she knew would be there. Jim squints in the sun, looking up at the private jet. At first he thought he would rather be traveling by solar surfer, but Japan is an awfully long way away and although 13 hours in a tiny enclosed space doesn't sound like a lot of fun, he has to admit that he is grateful to Scar that he won't be flying through the night. As he boards, he nods and smiles at the familiar faces. What new adventures await? After a much needed nap the boys found out the concierge had brought up some clothing in the right sizes. The gobbled down some excellent sandwiches and changed into bathing suits. Then ran down the stairs to the pool. Alice was getting ready for tea at her friends home when a letter arrived by post. She loved getting mail and even though she was fairly late for tea, she couldn’t help but open it. She was asked to be part of an investigation at Tokyo Disney Sea and although she never admitted it to anyone (a proper lady never will!) she was itching for another adventure. Wonderland has lost some of its…well, wonder, now that she visited fairly often so exploring a new land seemed like the perfect idea. She changed out of her attire, wore her favorite blue dress and started to pack. From under her bed, deep in a case, she took a jewelry box and inside were peculiar little vials filled with liquids, powders and potions. She went through them all, passing her finger over the labels “Do Not Eat,” “Forget Me Now” and “Drink Me,” until stopping her finger on a curious jar filled with dark blue powder. The label read: “Anywhere Dust.” She smiled gleefully and remembered how she had acquired it. The Caterpillar had been smoking hookah as she passed by on her way home that one night when she took the root. He had mentioned that he found root that had the power to take you anywhere and nowhere, way past the checkered fields. She was used to the way creatures in Wonderland talked now and instead of responding, she simply nodded and watched as The Caterpillar pointed at the night sky, took a huge hit of the hookah and puffed O’s to the stars above. Soon, his mind had lifted and though his body remained there, Alice knew that he wasn’t quite all there anymore. So she took what remained of the blue root and other exotic little things that The Caterpillar kept around. She understood how Wonderland magic worked now, so taking some of the Anywhere Dust in her palm, she declared: “Take me to Miracosta hotel,” and blew the dust towards her mirror. The mirror waved up and down once, twice and just as fast as it had moved, it had returned to normal. Alice wrapped her jewelry box and packed it with the rest of her possessions and with an air of excitement, jumped through the looking glass once more…. Just as Scars plane is about to taxi for take off..Dr Doofenshmirtz stores secretly away in the luggage area. He doesnt realize the length of the flight. "Ill be safe in here. That stupid lion thought he could leave me and my inators behind." "I'd like to show my guests a view of Mt. 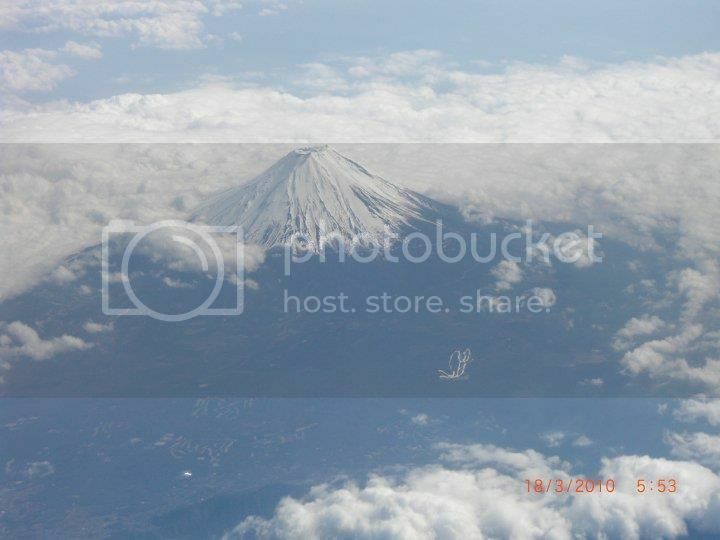 Fuji before final approach to Narita. Do you think you can make that happen?" 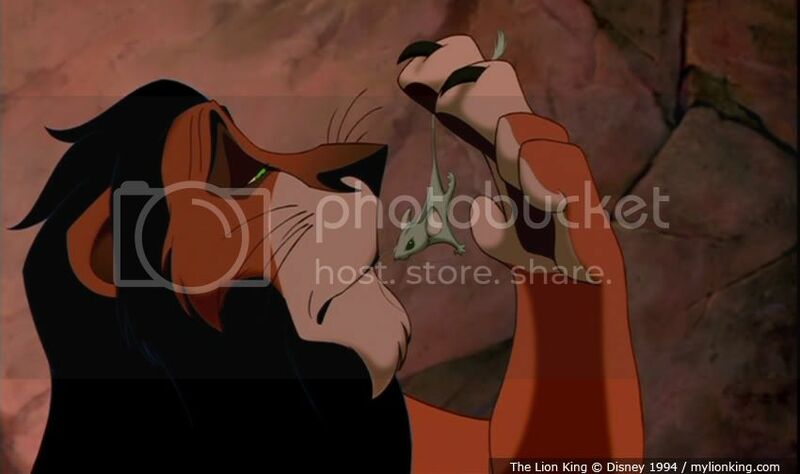 *Scar to his guests. * " That my friends is the largest mountain in Japan. I myself have climbed it twice. You see what kind of luxury you have when that meddlesome wizard is not in charge. We will now make or final approach where a limo is waiting to take us to the Miracosta." King Candy awoke with a start; managing to jump and hang on to the ceiling light in the process. He blinked for a moment, before realizing that the previous experience had been a nightmare... a nightmare involving the car from RoadBlasters trying to take over the Sugar Rush Kingdom... with lasers! The King dropped onto the floor, straightening his bow tie and regaining his composure. "Just a dream, ahaha! I do wonder why I get these nightmares sometimes! Silly." He stated to himself, surely it was nothing to do with the fact most of his meals throughout the day were candy-based. Well it wasn't easy finding anything savory in Sugar Rush. Glancing over to the clock he found that the jet would be arriving soon... he had overslept... but then it had been a long drive! How he had driven from California to Tokyo is a mystery. King Candy decided it would take a while for them all to check in anyhow and turned on the television. Flicking through the various channels he eventually left it on a race that was being televised; though indeed thought that he could of easily won it. While that was on, he took out the notebook from his pocket he was planning to use to keep track of all the clues; the notebook was already half-full of computer code scrawled over the pages... and a few random sketches of himself (looking very royal indeed), car upgrade ideas and candy of course. He thought a notebook was more efficient than writing all his notes on napkins from Tapper's. "Ok everyone I have sent a message to the other half of our team that is already here. You have an hour to get refreshed and then we will be meeting head of the Tokyo Disney security to discuss the case and what we need to do to prove that my love is not guilty. Now off with you." Vanellope glanced out the window at the large mountain Scar called Mt. Fuji. She had to admit, it was pretty impressive. Seeing it reminded her a little of Diet Cola Mountain back in Sugar Rush. She suddenly felt a little homesick. She really wanted to see her friends again. She cheered up a little when she about all the stuff she was going to tel them. When the plane lands, all the detectives get off the plane and are shown into a large limo. Vanellope doesn't touch the sushi on the inside. She made that mistake back at the restaurant in Epcot. She'd wait till they got to the hotel before eating. After arriving at the hotel, Scar informs them that they have an hour before they are to meet up again. After spending 14 hours cooped up on a plane, Vanellope decides she's going to spend this hour walking around the hotel and not in her room. Si and Am stretched as they slowly got up from their seat in the airplane. After a brief 14 hour cat nap, they were ready to have a snack to tide them over. They quickly settled in the limo, they were really starting to like all the fish meals on this adventure. It seemed like a very short time later when they arrived at the hotel. The CM greeted them and quickly started to check them in. "We want" started Si, "the Porto Paradiso side". "We need to be inspired by fishing" the said in unison. Cri-kee's eyes open, engulfed in soft bed sheets. He yawns, his eyes watery from his slumber. This is such a beautiful room! It beats a tent anyday. Cri-kee thought to himself. I wonder whose reservation I'm under..
Cri-kee turns to his left and sees a scroll and ink pad laid out on the night stand. He bounces towards it, and opens the scroll. The scroll, looking rather new, had gold embellishments on its borders. Cri-kee examines the scroll, but there is no words or letters on it. With a puzzled look, Cri-kee rolls up the scroll and finds a note underneath it. The note reads, "This scroll is for your thoughts and ideas. It will be a visual representation of the knowledge and the information that you attain from this adventure. Use it wisely." What is going on? Cri-kee thinks to himself. Well, I better practice my typing skills. Cri-kee unrolls the scroll onto the night stand. Cri-kee takes a deep breath, and jumps onto the black ink pad. He then hops onto the right corner of the scroll. With his little legs, he starts hopping onto the scroll as if he was a typewriter. He then jumps off the scroll and onto the nightstand and admires his work. The corner reads "Cri-kee's Scroll." As Cri-kee looks at his work with pride, he hears a loud beep coming from the window. 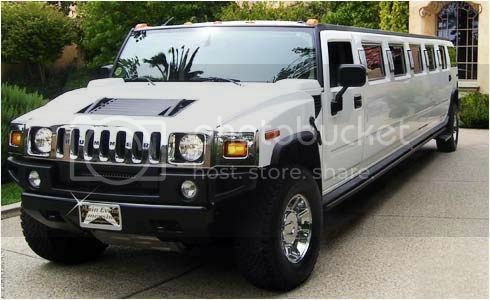 Cri-kee hops towards the window and sees a limo outside. The doors open, and a lion gets out of the limo. That must be the lion the concierge was talking about. Cri-kee hops to the stand, grabs his scroll, inkpad, and hotel card key with his antennas, and hops towards his room door. He looks at the door and hears from behind it "They're here! They're here!" Cri-kee trembles a little. Time to find out what is going on... ​He opens the door and hops out of the room. Once Alice is comfortable in her room, she takes out her jewelry box once more, counts all the vials and takes the third from the left, sprinkles some dust over water and voila, instantly hot earl grey tea. She sits there, sipping her tea and wondering who else has come on this adventure.